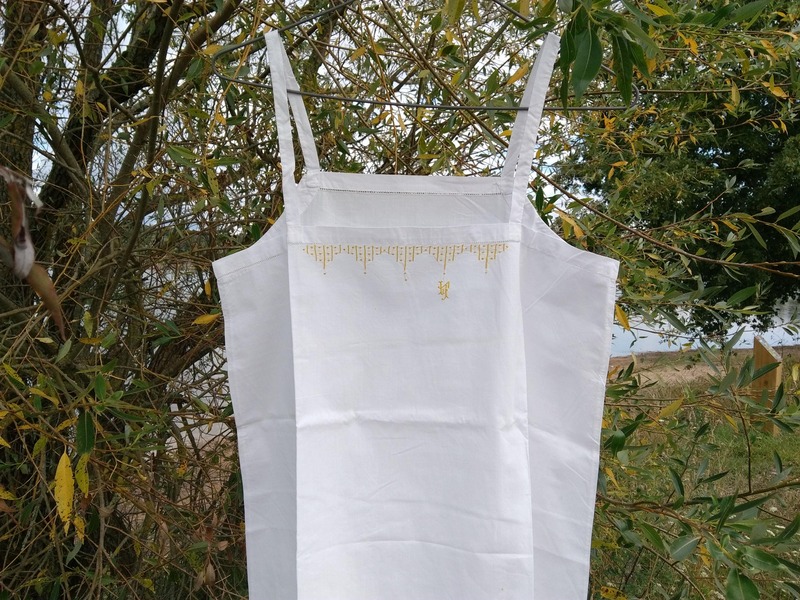 Very unique French Deco lingerie. 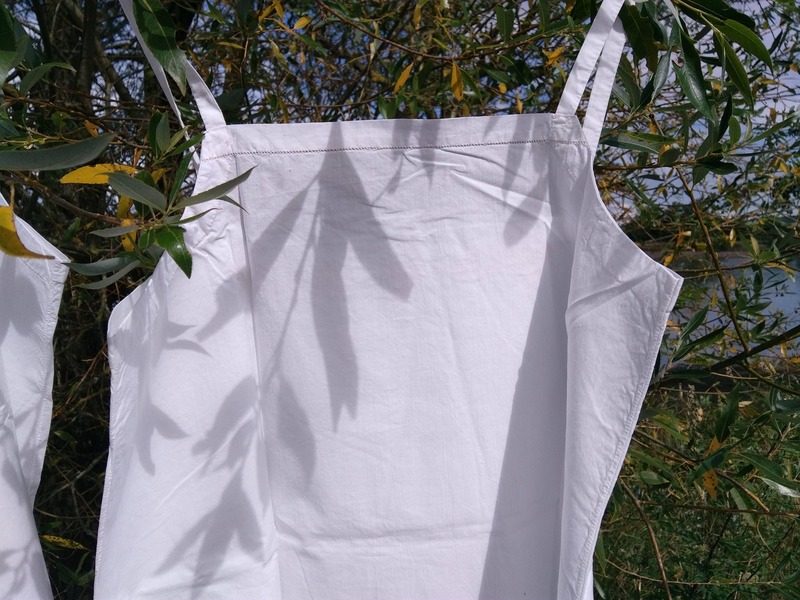 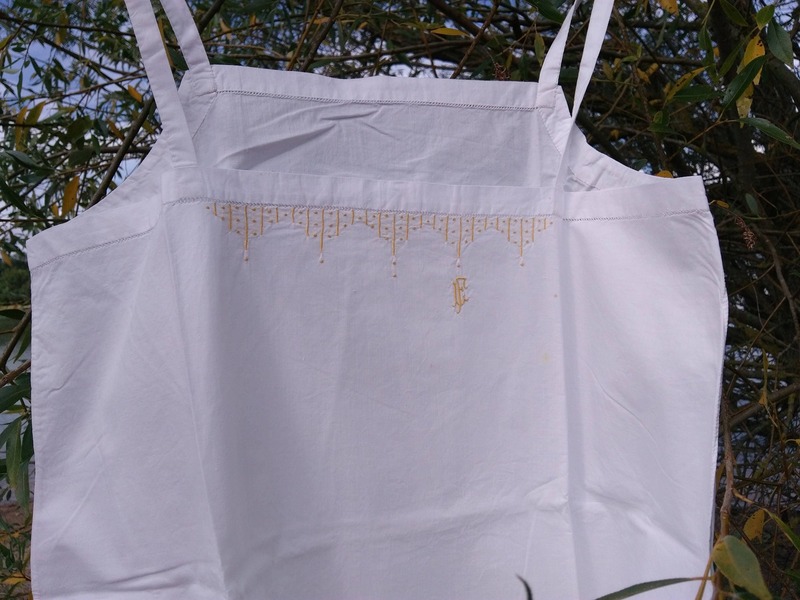 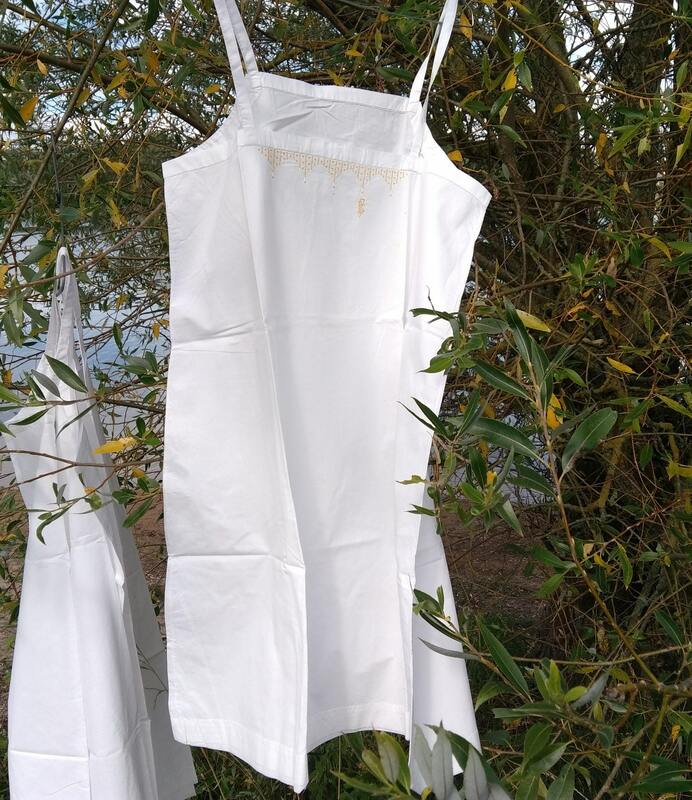 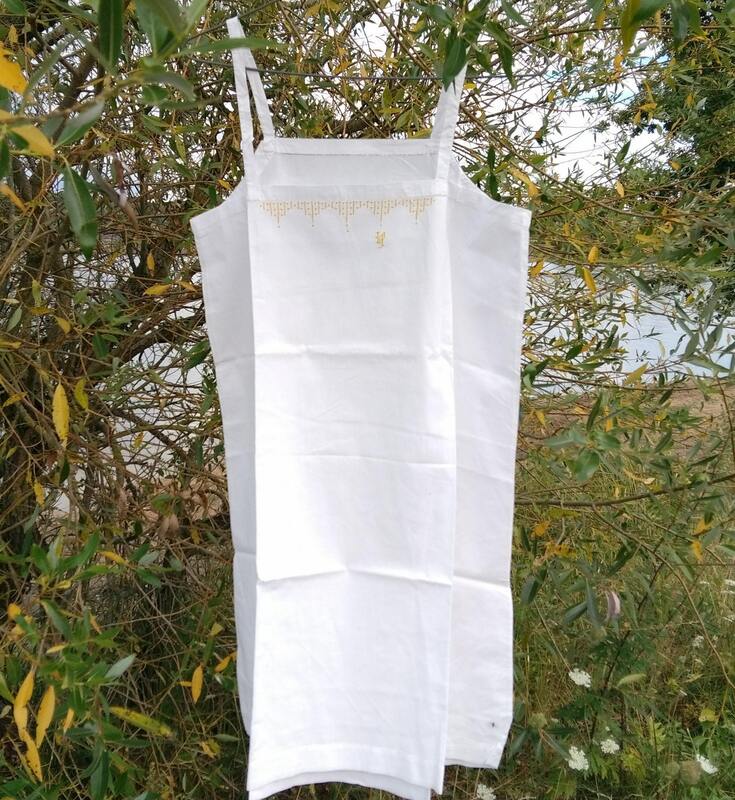 1930's white cotton slip . 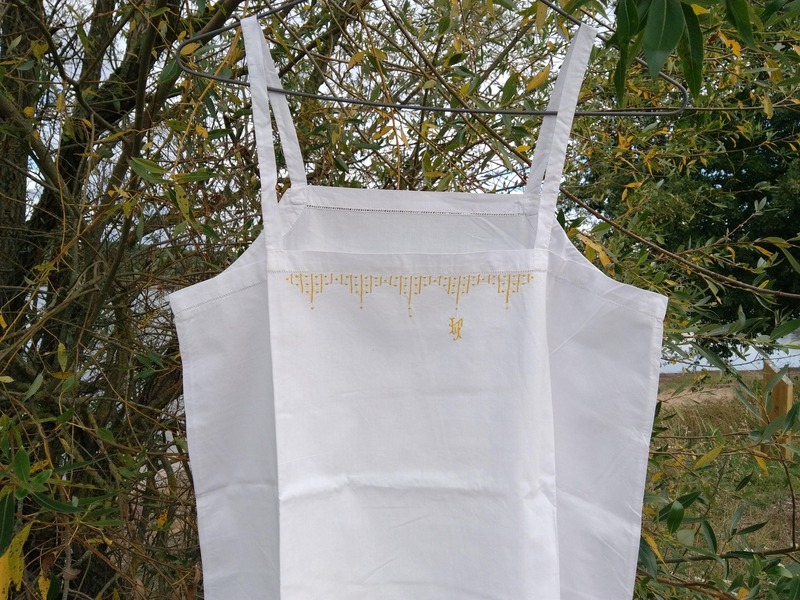 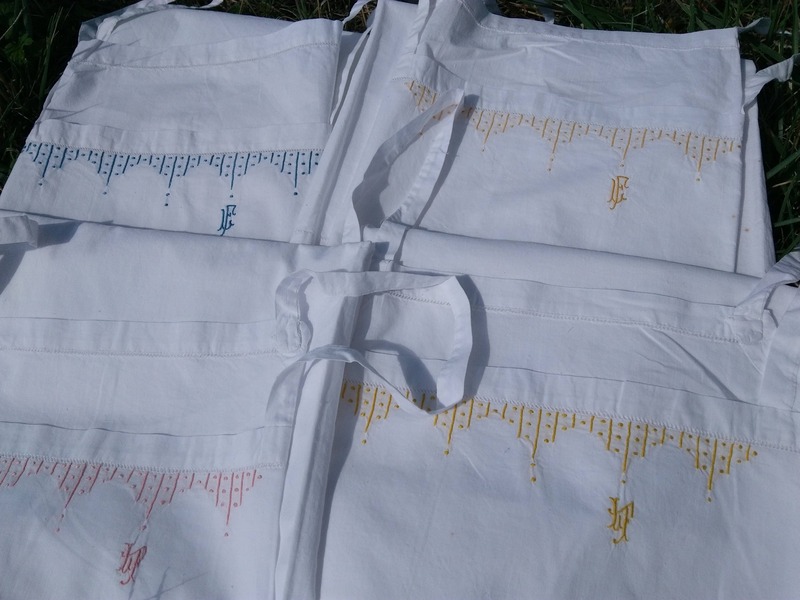 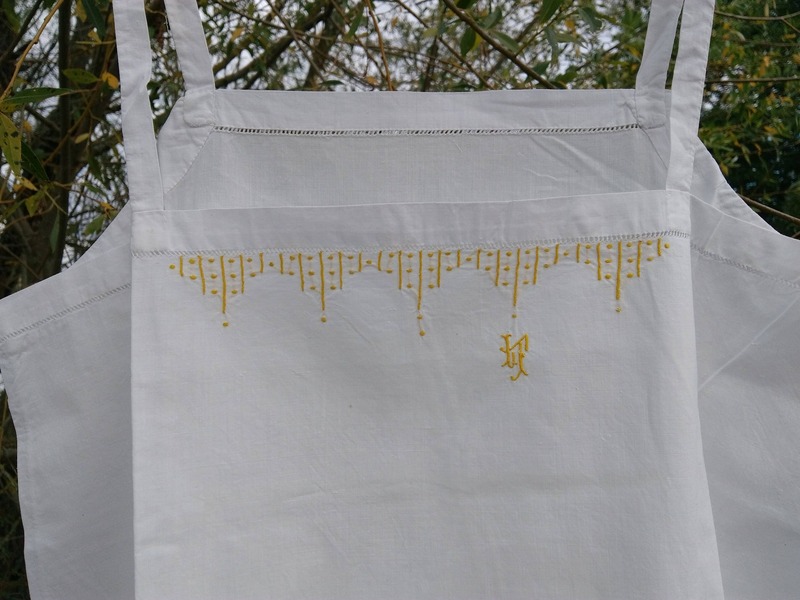 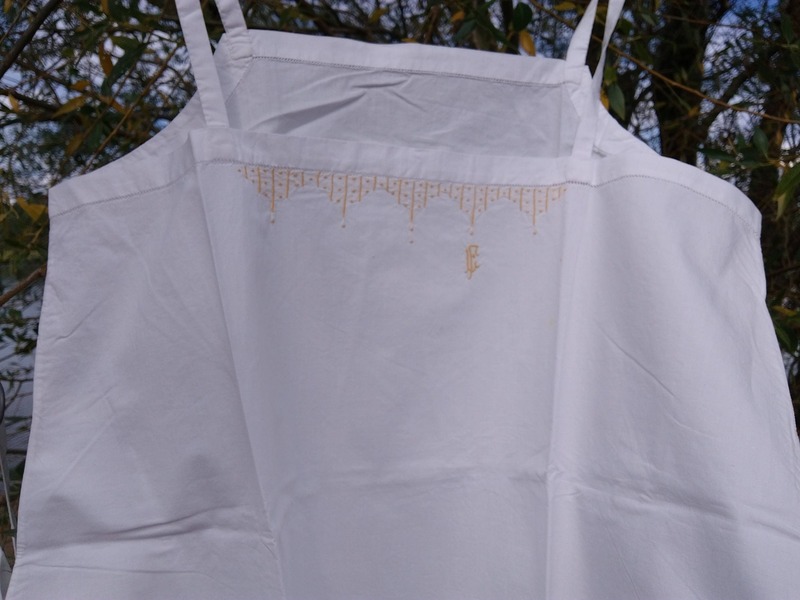 GORGEOUS Yellow Hand embroideries and monogram . 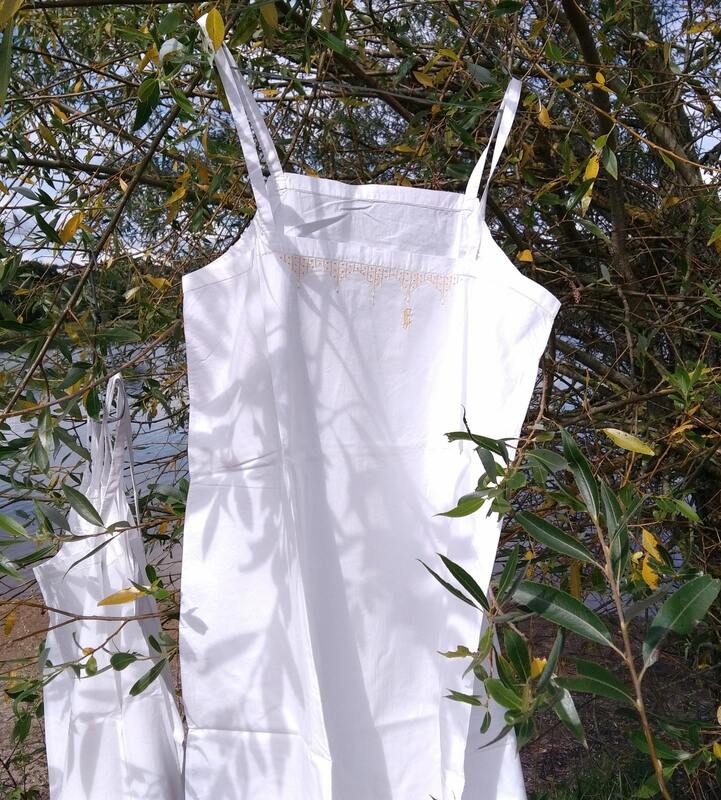 Good vintage condition, unworn with light time stains.